La Victoria closed Tuesday, Oct. 9 after 67 years in the Mission, and all the bread was half-price. The bakery’s demise was extensively covered in the local media; it was not gentrification that killed one of the neighborhood’s seminal institutions so much as a family squabble between the son and stepmom in control of a family trust. The current operators of La Victoria, Laura Hernandez and Danny Gabriner, were notified in the spring about their pending eviction. Last week, they were notified that they had to be out of the building by Oct. 10. Hernandez and Gabriner said they plan to relocate to a new kitchen-only location near 3rd and 22nd Streets, and will be accepting orders for the holidays. 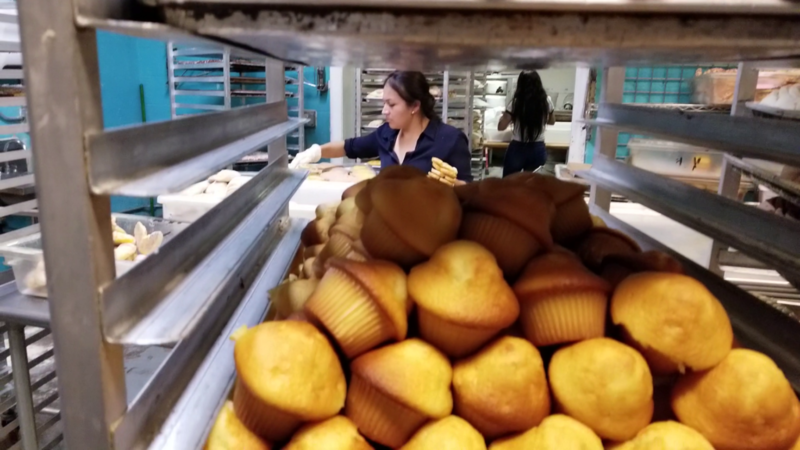 All bread half-off: La Victoria closes from Mission Local on Vimeo.